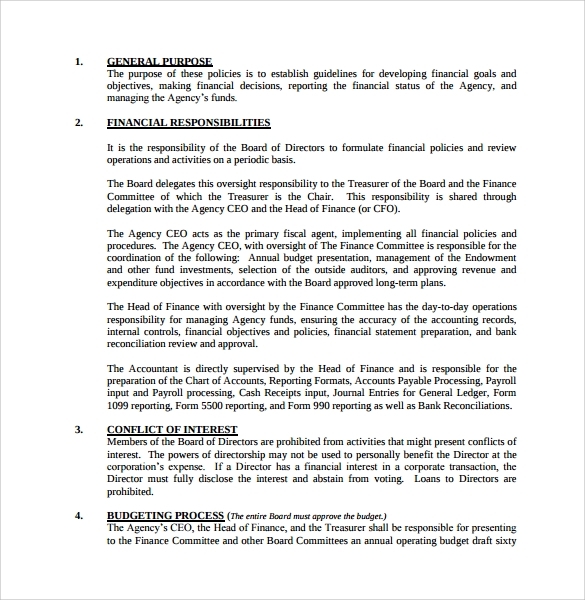 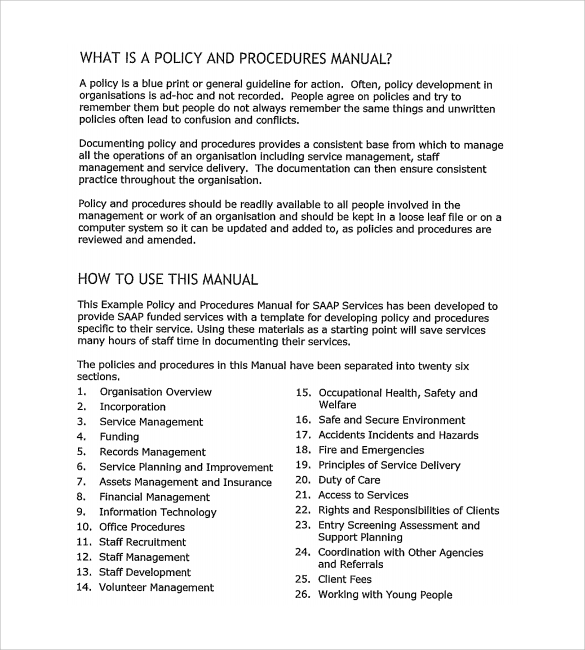 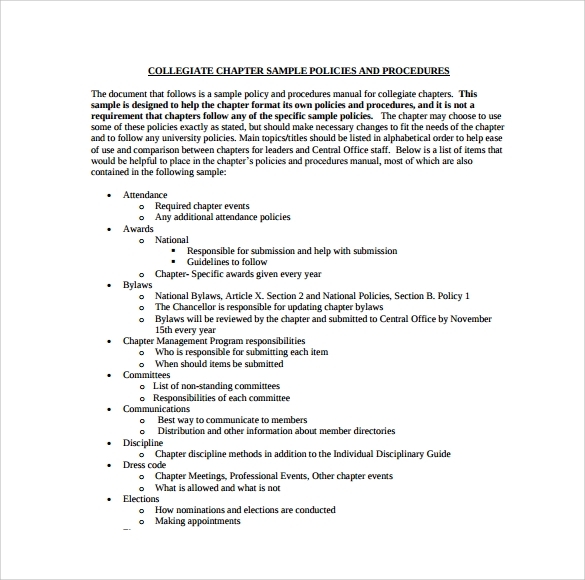 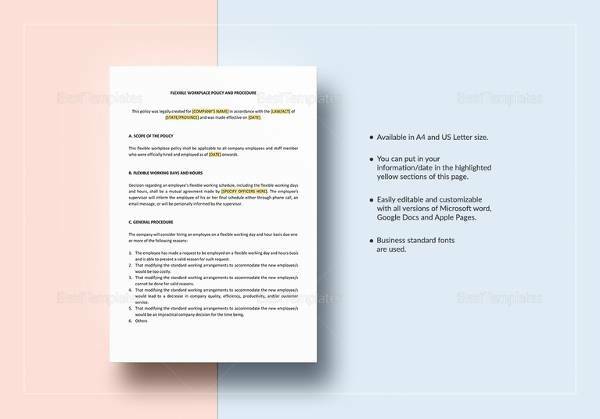 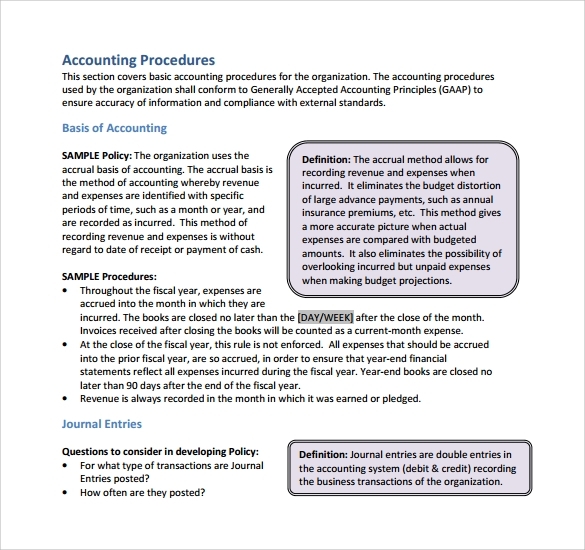 Policies and procedures document is an important tool that guides any user on how to carry put an operation. 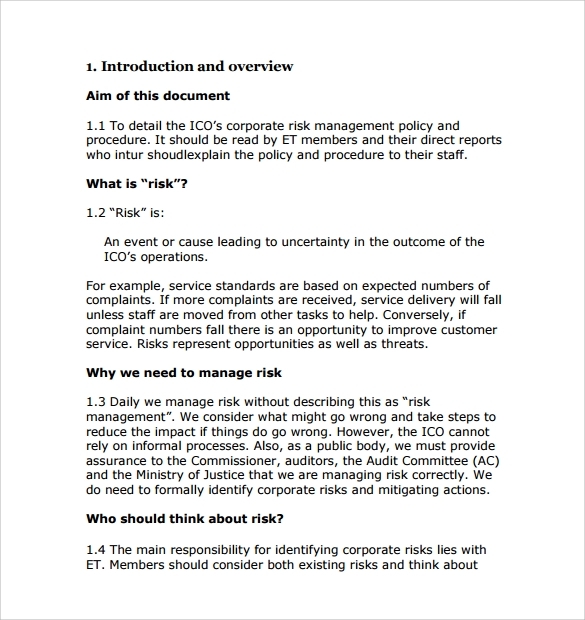 Billions of businesses, organizations as well as companies have their policies and procedures, which help them to operate successfully on a daily basis. 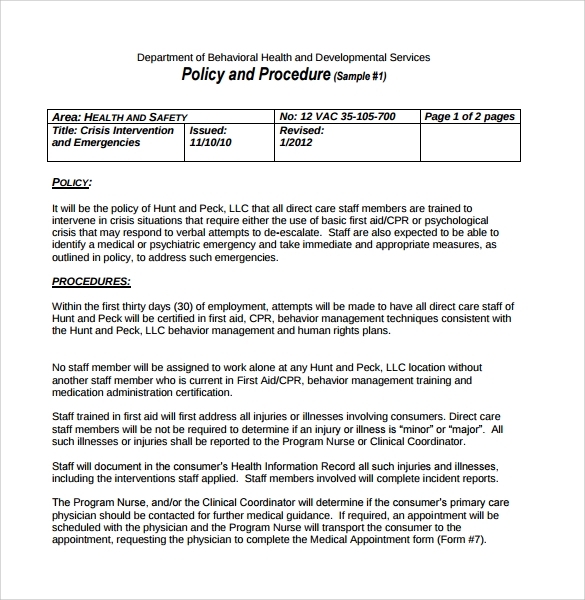 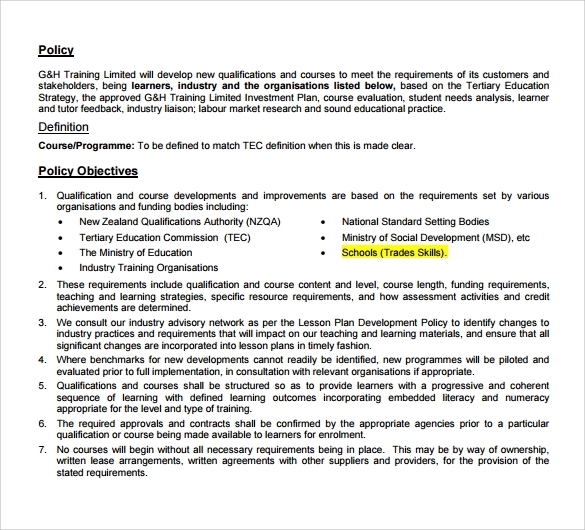 I am sure that without such a policy document, it would be difficult for any successful operation to take place in a Business Plan. 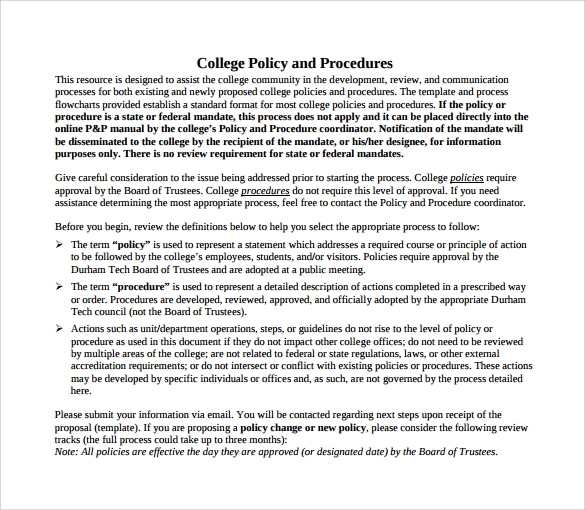 Creating a policy and procedure for your business should not be difficult at all. 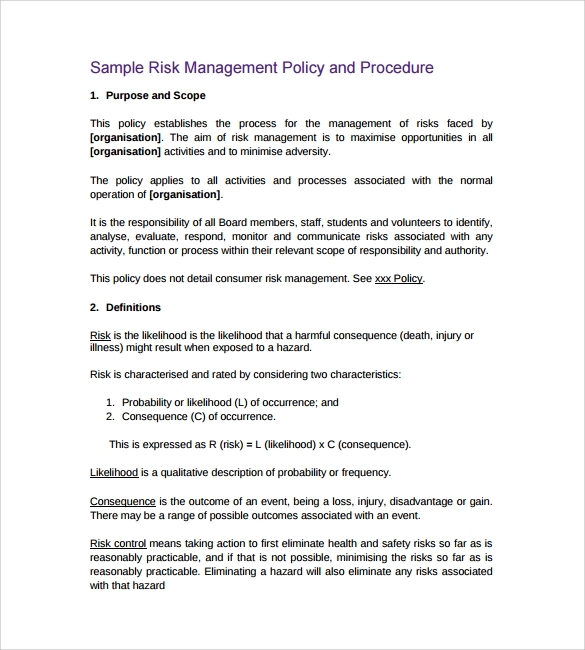 The best tool you should be using right now is downloading free sample Policies and Procedures templates and use them to wrote the policies and procedures for your operations. 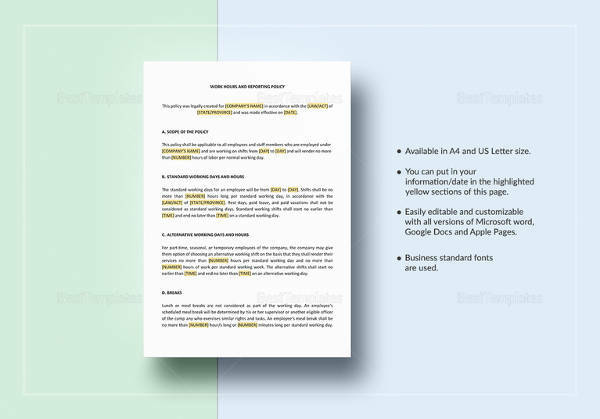 Make sure you browse through the templates on this page before downloading any free sample. 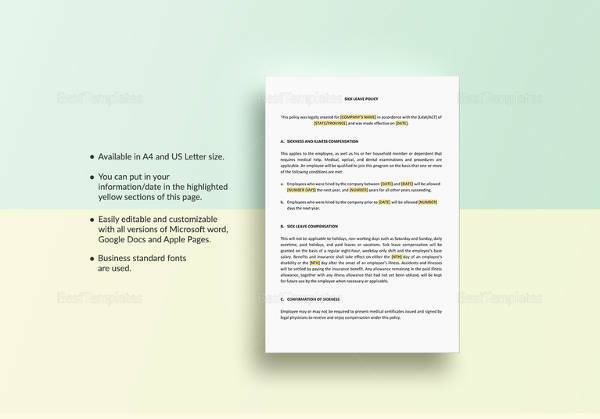 While all of them are high standard and built with professional designers and developers, searching through the list will help you make the right pick, which you can use for your project.